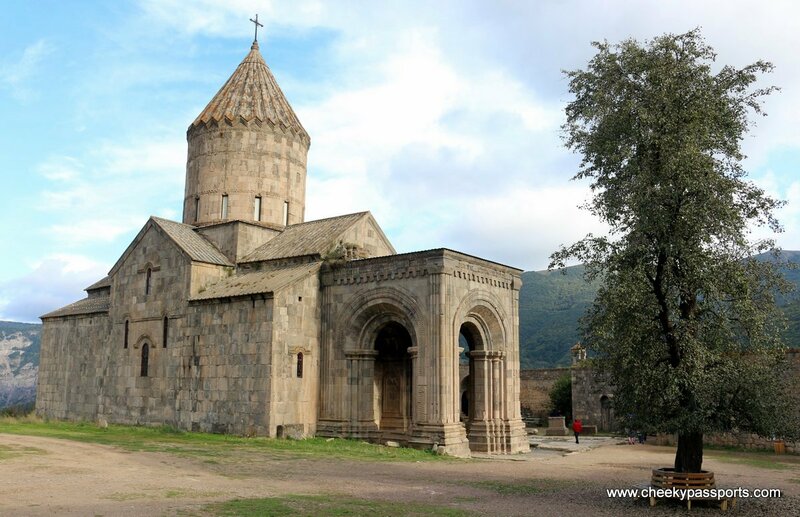 Armenia has for many years been the lesser known destination in the Caucauses. 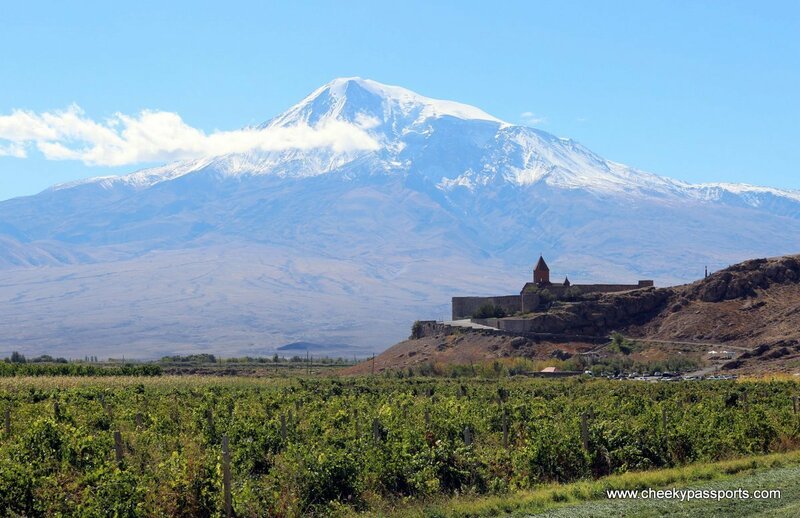 Boasting spectacular landscapes, Armenia is in the crossroads between Asia and Europe. With a rich history spanning over three centuries, no wonder that this land is considered to be the Cradle of Christianity. 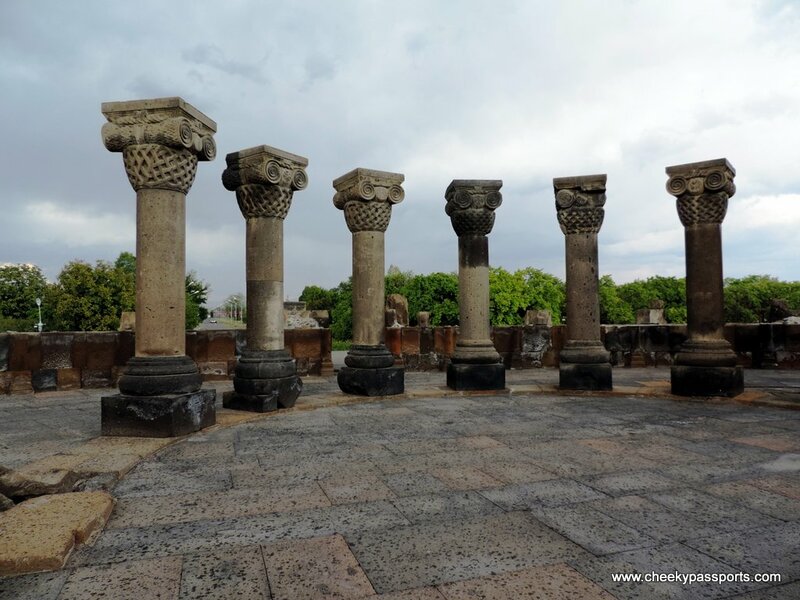 Here is our take on the top 5 places to visit in Armenia. A deep, picturesque gorge surrounded by mountains and plateaus dotted with little villages and packed with ancient monasteries. The canyon is close to the border with Georgia and is one of the main routes between the two countries although you wouldn’t say so judging from the state of the road which was so bad that we were convinced that we had taken a detour to the middle of nowhere (we hadn’t). 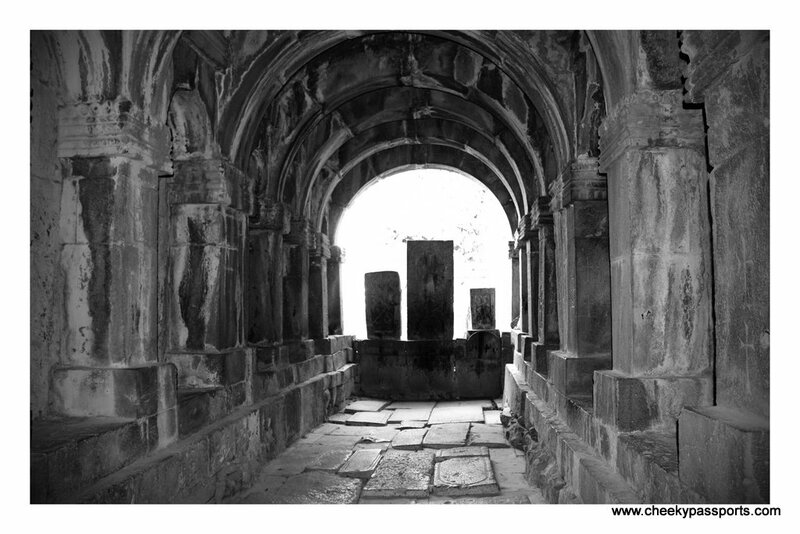 Our favourite part of the canyon was Sanahin Monastery, one of two of the canyon’s UNESCO sites (the other is Haghpat Monastery), a breathtakingly beautiful place of worship full of ancient carved stones. The place was deserted except for us and one other man from Argentina and had a very Indiana Jones kind of feel to it. This monastery complex is dramatically located on the edge of a cliff overlooking a deep gorge. Accessible via a long, winding road full of hairpin bends or by using the Wings of Tatev from Halidzor village – a 5.7 km long cable car and an attraction in its own right, having earned the title of longest non-stop, double-track cable car in the Guinness World Records. If you are driving up be sure to stop at Satan’s Bridge a natural stone bridge featuring in local legends. 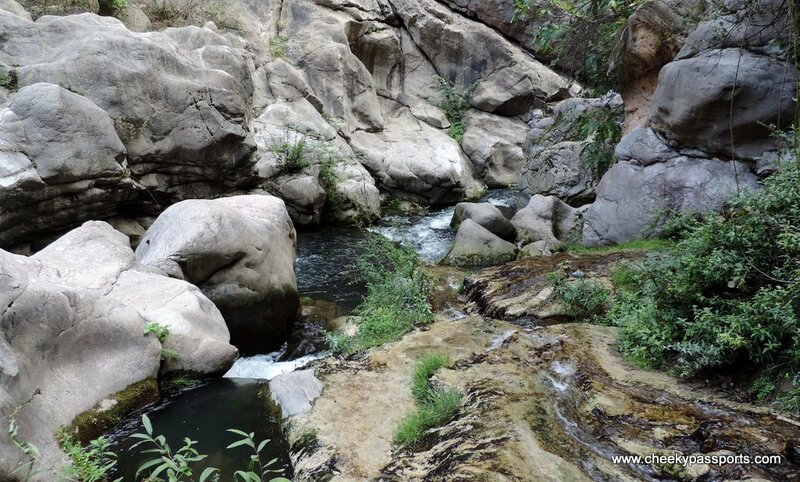 From here you can walk down some steps to get to a hanging rope which you need to climb down and then to a ladder which will lead you down to the river bed and then to some pools and hot springs. Do not take anything with you except your bathing suit if you intend to swim in the pools; we were not carrying our bathing stuff unfortunately so we only made it as far as the river! We first drove all the way to Satan’s bridge but then backtracked to the Wings of Tatev so as not to miss out on the cable car experience. 3. Driving across Selim (Vardenyat’s) Pass. 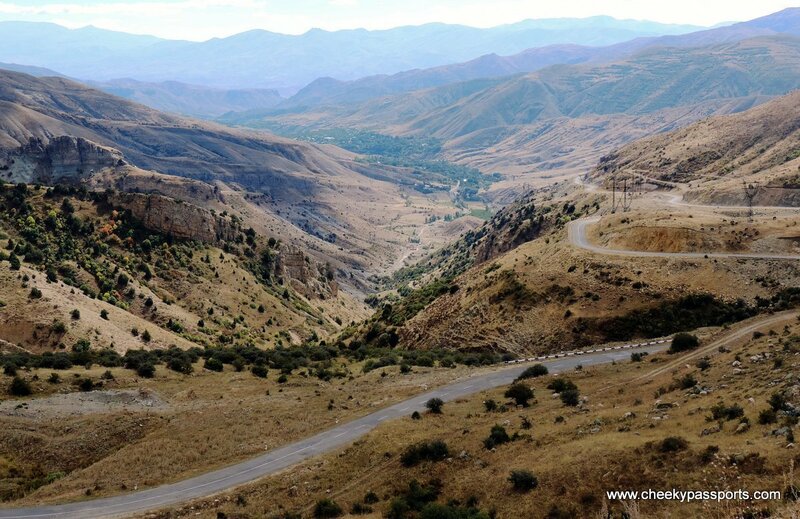 The scenic mountain pass crosses the Vardenis mountains range and connects Sevan Lake with Yeghegnadzor. The route itself is gorgeous with amazing views of the valley below and the surrounding mountains. The few round trees dotting the pinkish mountains reminded me a lot of large broccoli florets. 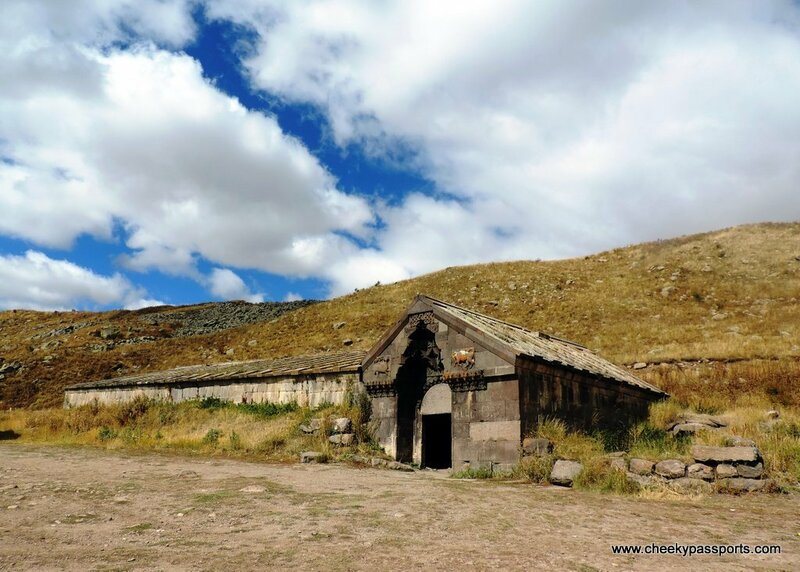 The Orbelian’s Caravanserai on the south side of the pass is a curious medieval structure that used to provide shelter to travellers and their animals en route to Europe. It is very dark and damp inside but worth going in to try imagine what a night spent inside the carvanserai could have felt like. It is worth taking a torch inside so as not to trip on every upturned stone like I did. 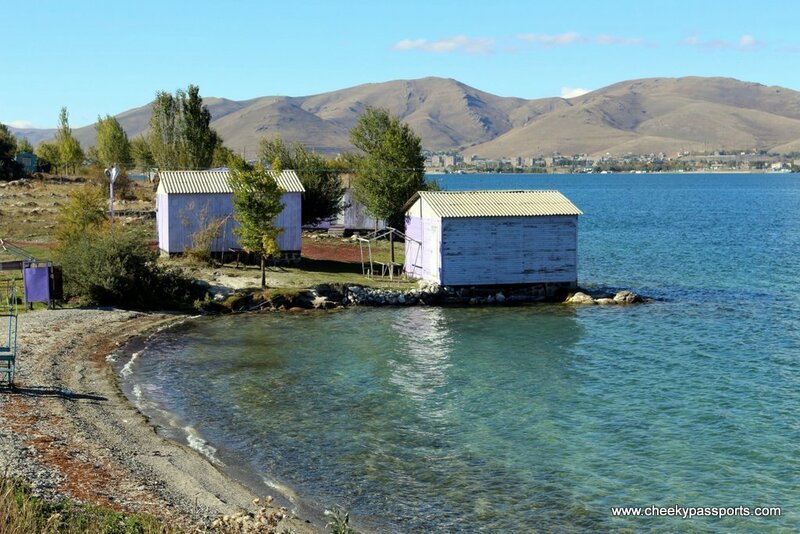 Covering approximately 5% of Armenia, this high-altitude, freshwater lake is a popular spot for locals, who flock to its beaches during the summer, especially since Armenia is landlocked. The drive along is lake is scenic and very peaceful in our case since few people were around at the end of September. 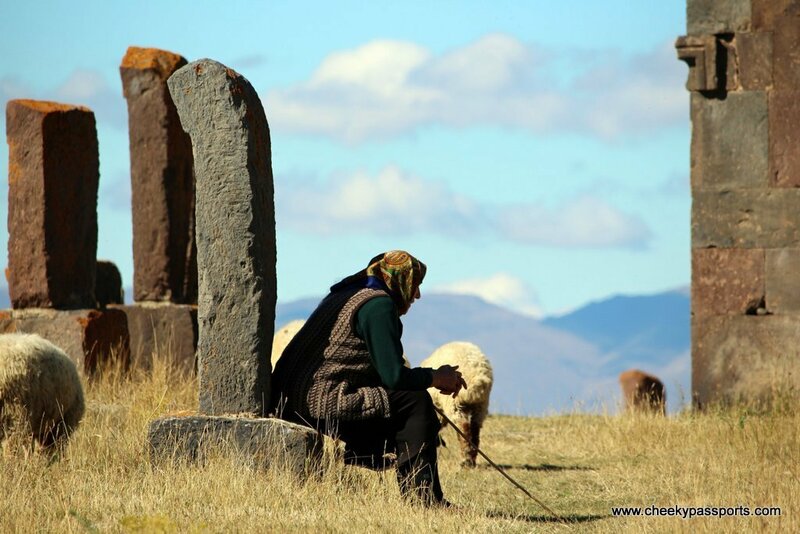 Our favourite part of the lake was the medieval Noratus Cemetery, the largest surviving khachkar (carved stones) cemetery in the world. 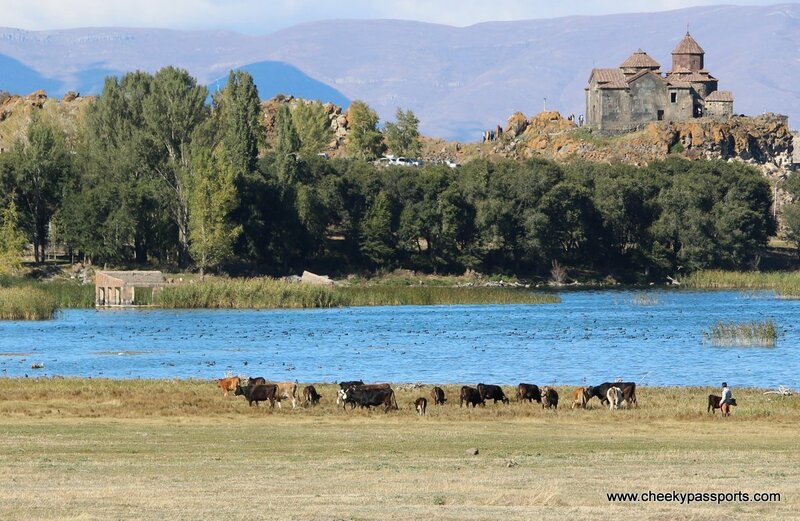 We also recommend stopping at the ancient Hayravank Monastery and of course the more popular Sevanavank Monastery, a monastic complex set on a peninsula offering great views across the lake. Be sure to sample the lake’s crayfish, available at any one of the lakeside restaurants! Our barbequed crayfish kebabs were mouthwatering! Although there’s no reason to spend much time in Yerevan itself, do not miss out on experiencing its hip cafe culture. The city is just teeming with cafes offering fresh coffee, scrumptious cakes and great wifi which remote workers will surely appreciate! 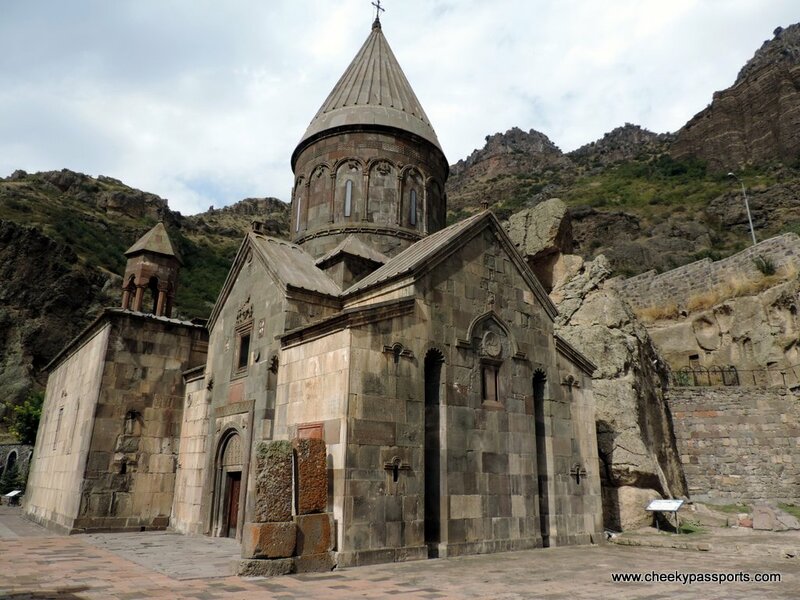 Some of the the top places to visit in Armenia though, are found just outside the city – our personal favourites were Geghard Monastery (former secret home to the Holy Lance), Garni Temple, and Zvartnots Cathedral. 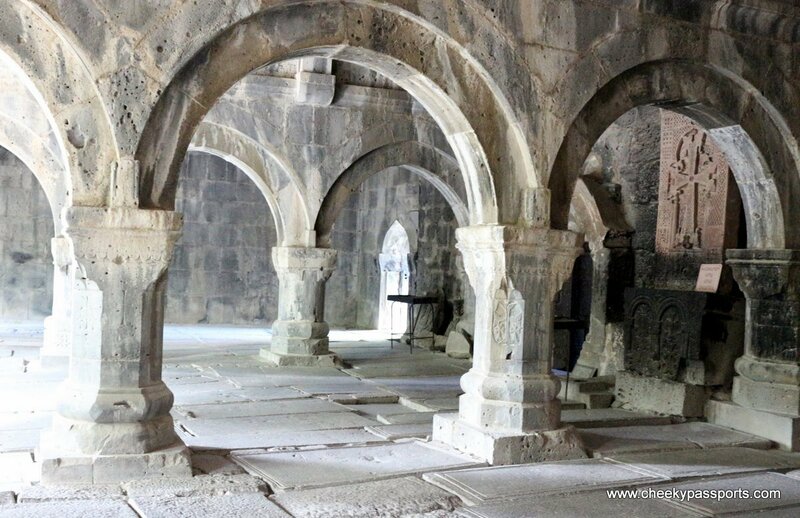 The spectacular Khor Virap, a monastery located at the foot of Mount Ararat is a about 30km away from Yerevan and should be on any traveller’s itinerary. Armenia doesn’t seem to get its spotlight on travel market. To me, it looks so beautiful and very interesting destination! I especially liked those monasteries. Thanks for sharing! Yes it really should gain some more popularity, it’s a great travel destination! Armenia is such a hidden gem of Europe. I would.love to visit all 5 places you have described. Btw i am writing up a collabo post about eastern eu. Maybe you would be interested ??? Drop me a messagemessage! if you’re ever in the region and would like more tips, give us a shout! Beautiful! 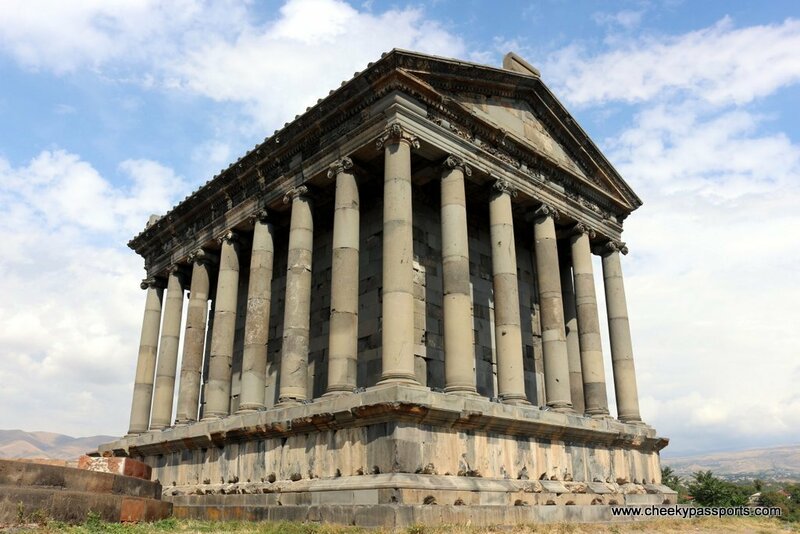 I’m an architecture nerd so I feel like I’d love visiting Armenia. 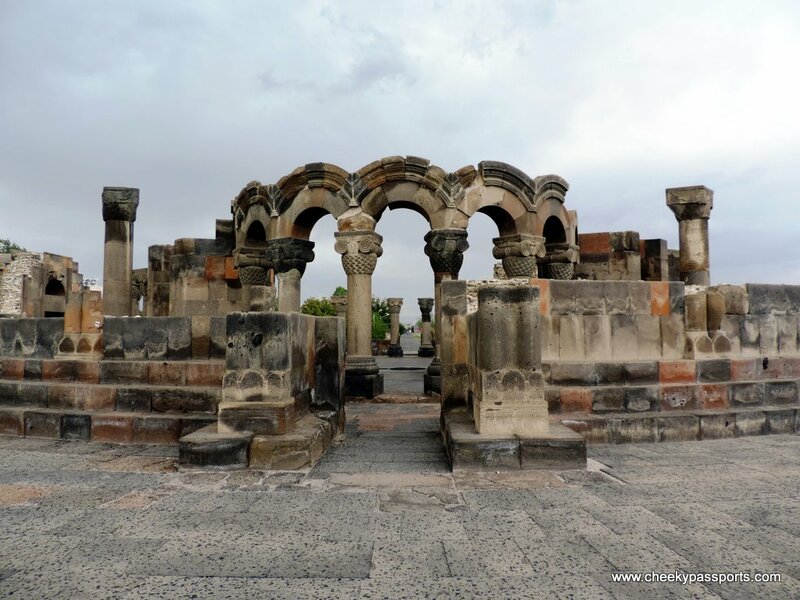 I mean Zvartnots Cathedral… wow. Emily you would love the architecture there, it’s something special! The Debed Canyon looks like a scene out of Lord of the Rings. It is breathtaking. 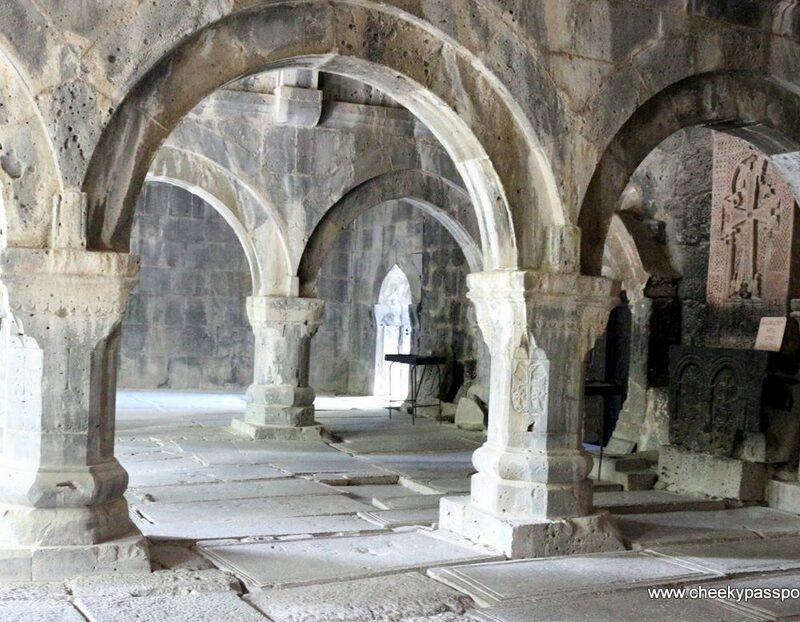 I had no idea that Armenia had so many ancient buildings. I also enjoyed the Garri Temple because it reminded a lot of ancient architecture. And I loved the photos that you took to capture the local people and their agricultural lifestyle. Thanks! Thank you Kelly! We hadn’t quite realised about the similarity to LOTR, but yes you are quite right! Thank you, it is a very beautiful country, totally untouched by mass tourism. I never considered Armenia but but I was definitely wrong! Your adventures there look so beautiful!! To be honest, I’ve never considered travelling to Armenia. But seeing posts like this really broaden my travel horizons! Those monasteries and surrounding scenery look incredible! You are right, the scenery is spectacular! Armenia is totally underrated! We’re glad to have inspired you! Feel free to contact us if you ever decide to travel there. Really beautiful photographs! Armenia is not somewhere I’d every have considered if I’m being honest, but this has opened up my mind. Thanks! Armenia looks beautiful. It is definitely an under-reported destination. I would love to visit Tatev Monastery and swim in the hot springs. Thanks for the tip about the bathing suit. I think I need to visit Armenia soon! Glad that you found the post helpful! Yes do pack your bathing suit if you’re headed to Satan’s Bridge, the pools must be awesome!